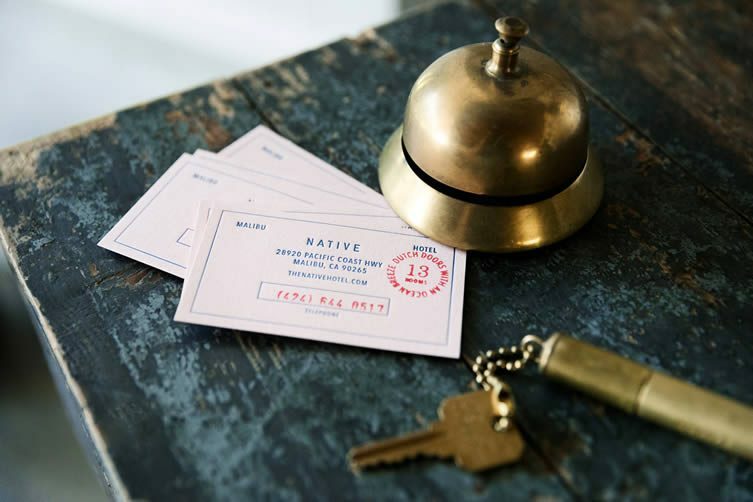 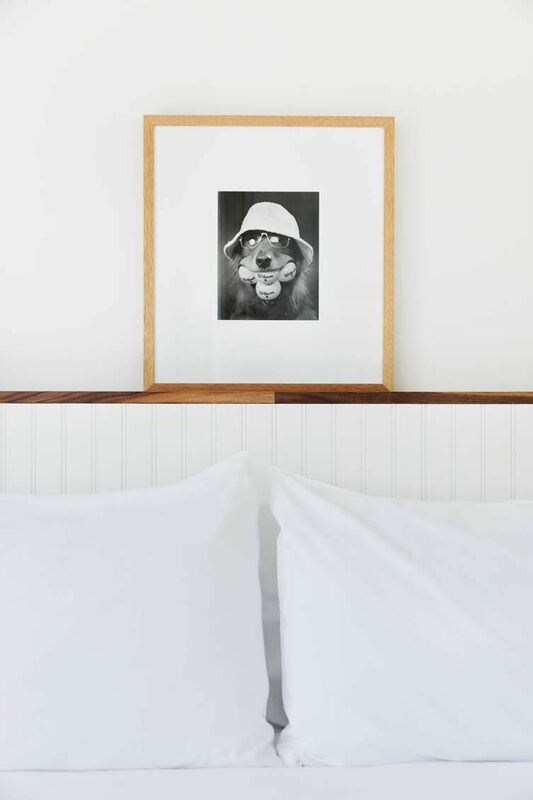 Once the infamous Malibu Riviera, a motel that welcomed the likes of James Dean, Marilyn Monroe and Bob Dylan (who wrote his 1975 album, Blood on the Tracks, there), a creative overhaul by LA-based creative agency Folklor has seen the icon reborn; the Riviera reopening recently as the new and handsomely improved Native. 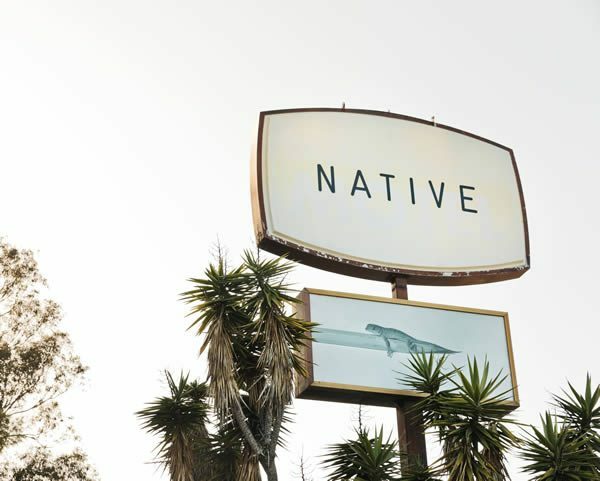 The lettering of the former Malibu Riviera Motel can still be made out beneath the hotel’s stylishly updated signage, set amid lush greenery along the Pacific Coast Highway it reminds guests of the hotel’s storied beginnings. 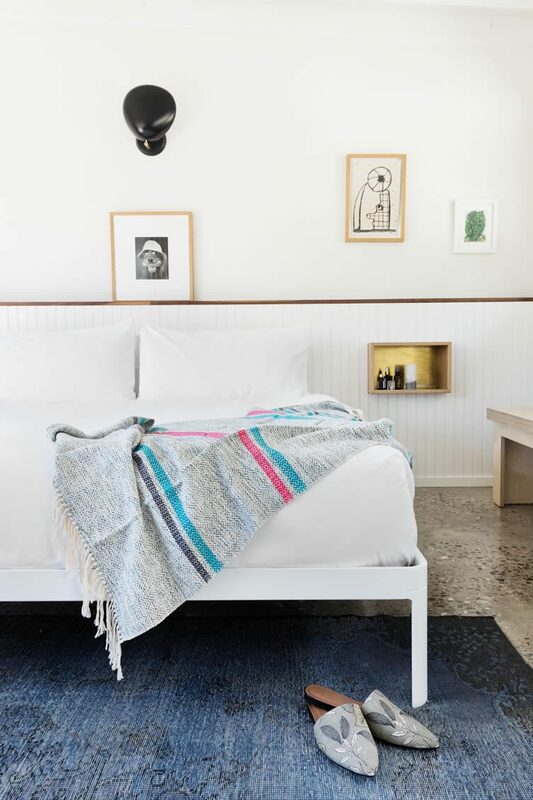 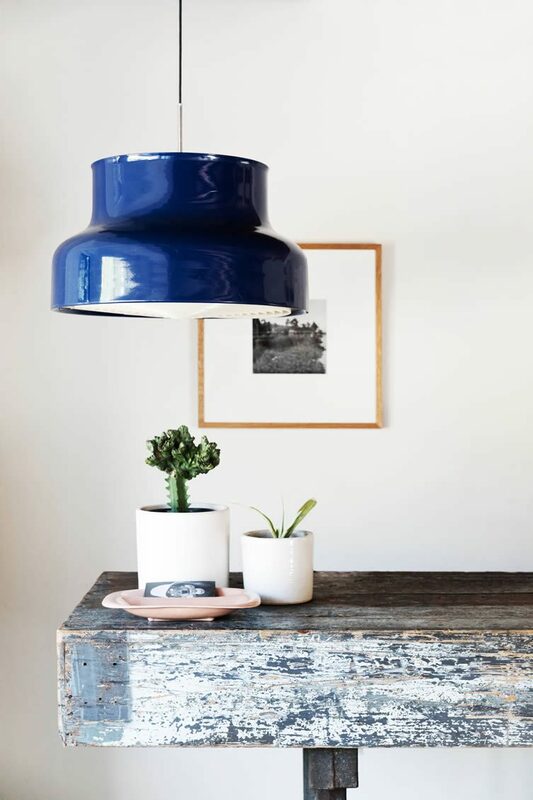 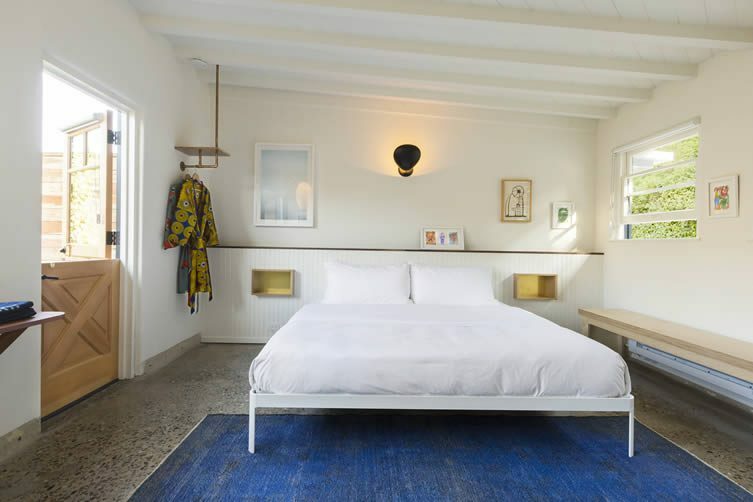 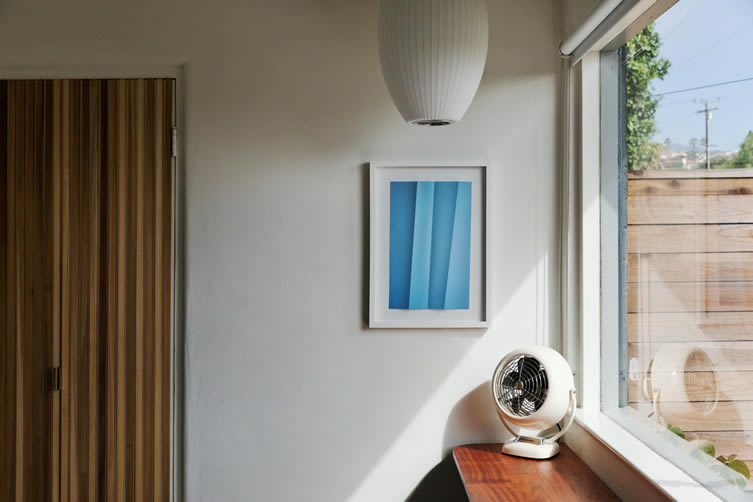 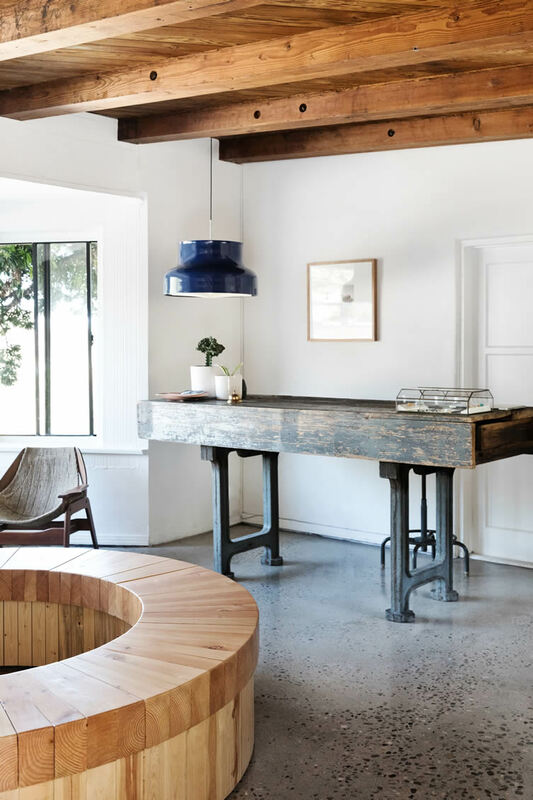 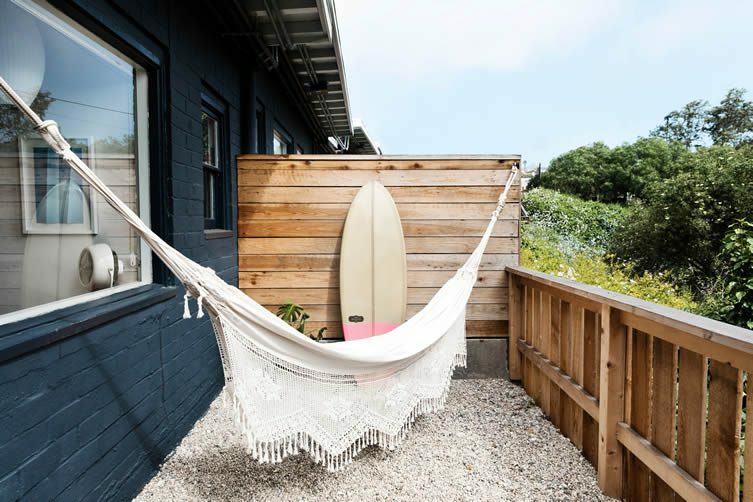 With just 13 rooms, Folklor freshened up the property — unveiling a modern look informed by old paradise charm; a place where guests can relax in subtle and timeless design that recalls a Southern California bungalow. 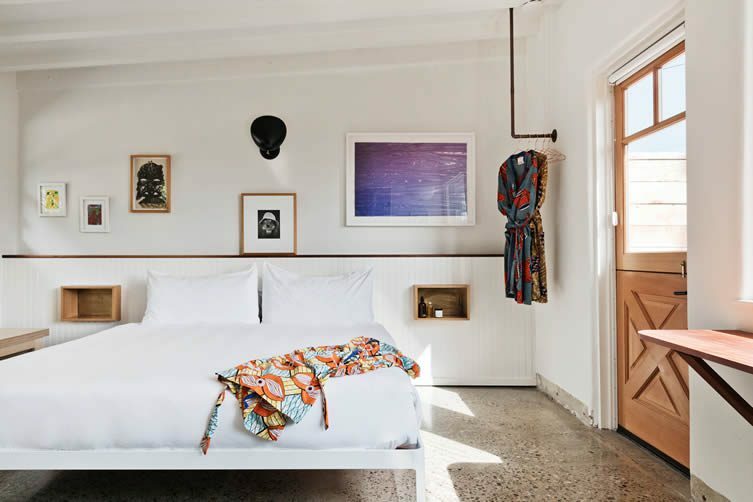 Exposed white wooden beams and Dutch doors lead onto private patios draped in hammocks, whilst inside crisp white bedding and white walls adorned with nicely-curated art contrast against tiled flooring covered with colourful rugs and light wooden furniture. 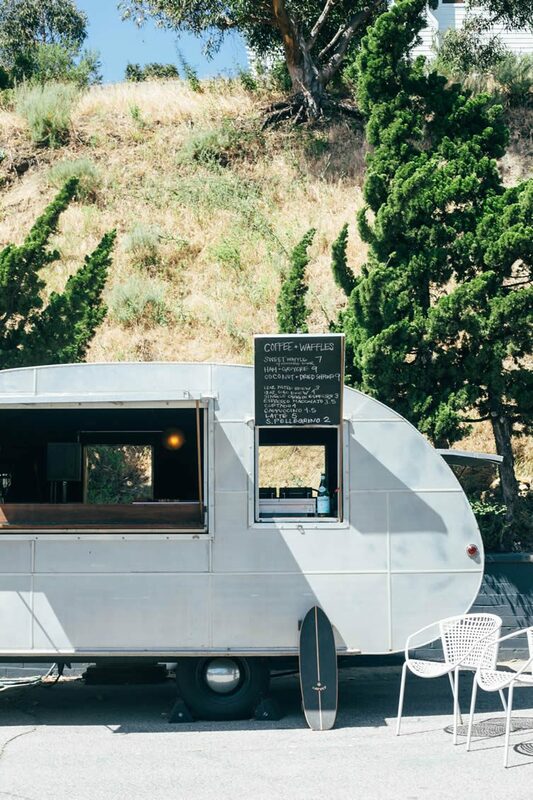 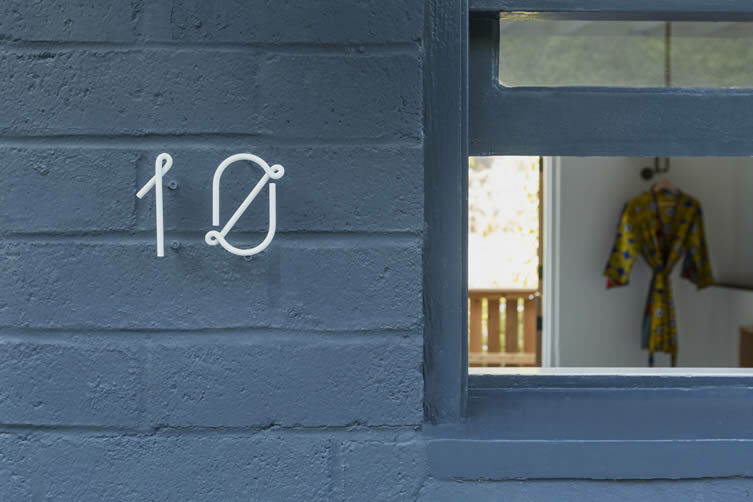 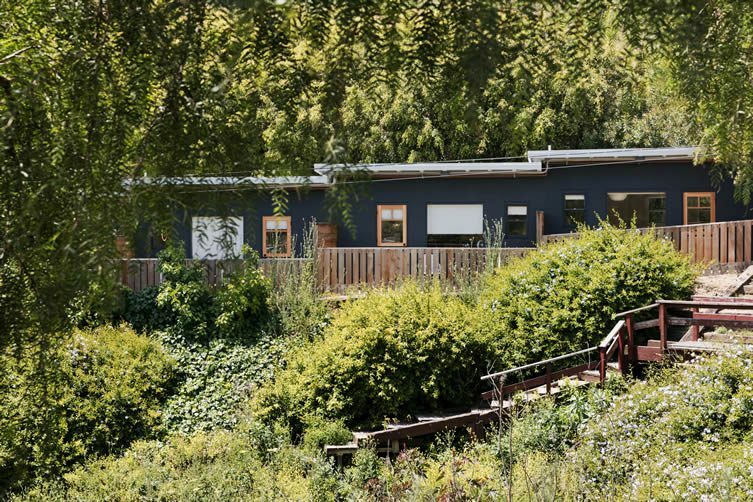 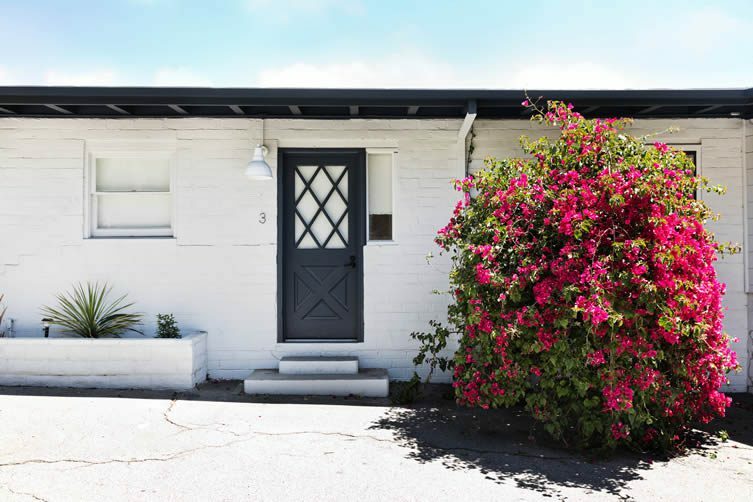 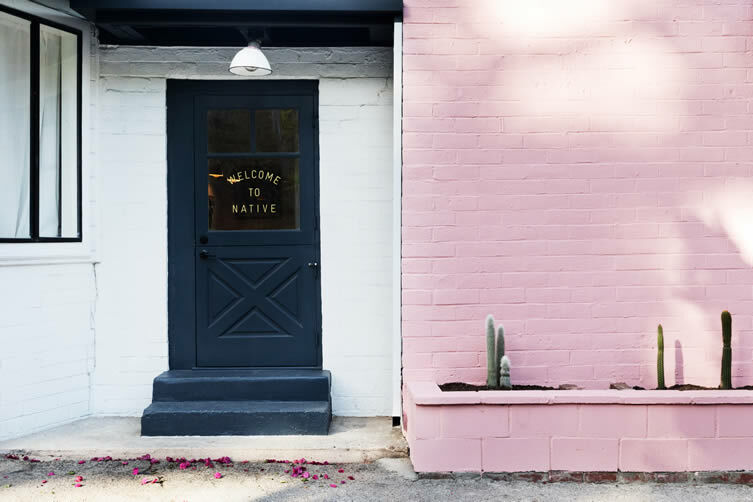 Wander the gardens into the pretty courtyard, and you’ll stumble across Coffee & Waffles, a retro-fitted Airstream trailer housing concept by French chef Ludo Lefebvre; the man behind Los Angeles hotspots Petit Trois, Trois Mec, and Trois Familia. 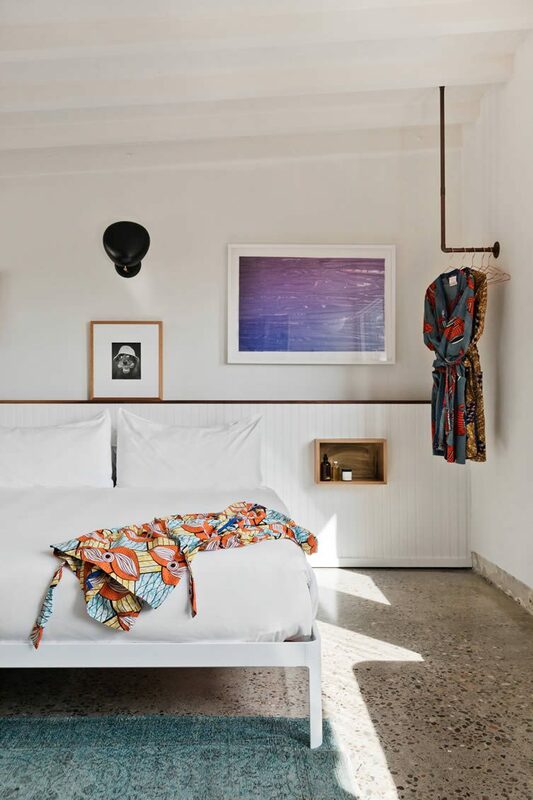 With a decadent heritage and a drop-dead now, the times they are a-changin’ for Malibu’s old Riviera — here’s to new stories to be made.